Zenith, Henna Drum, Mooka-ish, Well-ish and Maryhill. Dingbatz on 3Z tile. Always fun to learn something new, including the definition of a dingbat. These printer's characters get a Zen remake including spelling. Auras, Crescent Moon & Enyshou Dingbatz on a 3Z tile. 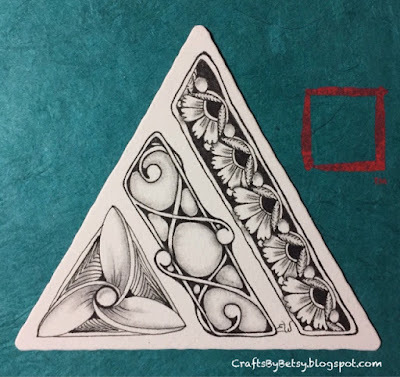 Is the hexagon a dingbatz? It felt like it when I drew it. Here I recently converted it into some snail mail. Oh, wow, these are great! 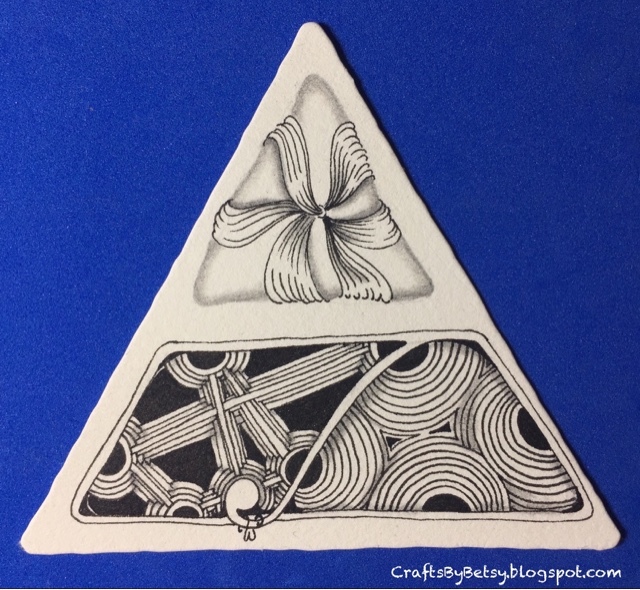 Dingbatz are some of my favorite Zentangle "things", and yours are top notch! I particularly love your Zenith/Henna Drum duo. It looks kind of early Art Deco, and is just beautiful! 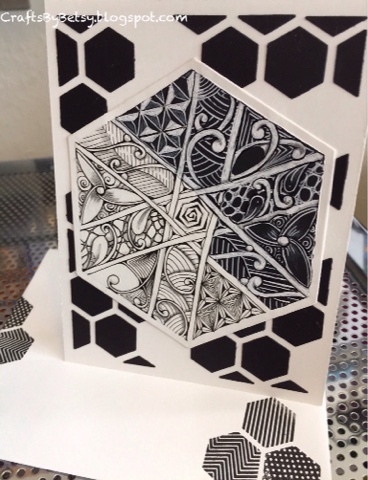 Your Hexagon works are always inspiring, too. 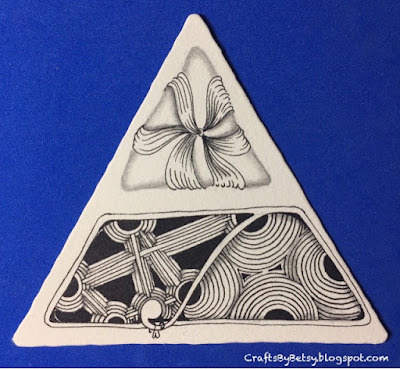 I think they should be recognized as an official Zentangle variety. They are lovely!